She was eighteen, from Homs. 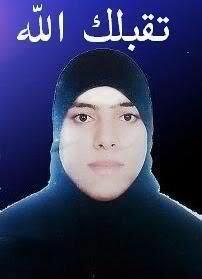 The regime wanted to get its hands on her brother Muhammad, an activist on the run, so it arrested her instead, as bait. Shortly afterwards the insecurity forces caught Muhammad, and shortly after that they summoned Muhammad’s mother to pick up his corpse. The corpse was burnt and punctured by bullets. While in the morgue, by chance, the mother found Zainab’s corpse too. Zainab’s arms had been cut off. Part of her body had been skinned. She had been decapitated. During the battle between the Muslim Brotherhood and the regime in the early eighties the regime committed massacres. But it never tortured children and women to death. This style of barbarism is an innovation. Does it need to be said that it’s an innovation which doesn’t suit Syrian values? There are still some people, astoundingly, who tell us that this regime of the psychopathically ill is capable of ‘reform’. Hafez al-Asad was a ruthless dictator of great but flawed intelligence. His sons do not qualify as dictators. To call them dictators is to insult dictators. They are a foul mix of pervert, monster, idiot, and spoiled brat. Each moment they remain at liberty is another catastrophe. Beyond that, for Zainab, I can say nothing more. The Zeinab story: the lie is the regime’s and the regime’s alone. The regime first came to arrest her (the real Zeinab), then first returned the body of her brother to the family (he died under torture), then told the family come take your daughter too – and gave them a burned beheaded body, unrecognizable, in pieces. That body, of course, still is a martyr, we just don’t know whose it is. The family was told by the regime that this was their daughter, they didn’t just find the corpse in the street, and it’s not the opponents of the regime who made this up. And after everyone got all worked up, they deliver “the victim who simply ran away” because – to boot – her brothers (who must be “extremists”) were abusing her.